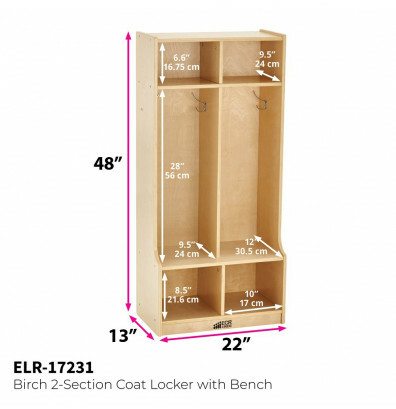 ECR4Kids birch 2-section cubby coat locker with step is an easily accessible place for children to store jackets, boots, lunch boxes, backpacks, and more. 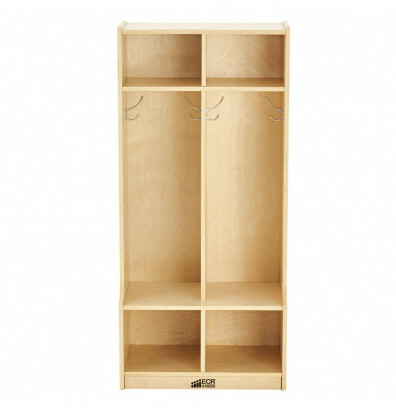 ECR4Kids birch 2-section cubby coat locker with step is an easily accessible place for children to store jackets, boots, lunch boxes, backpacks, and more. Accommodates ages 3 and older. 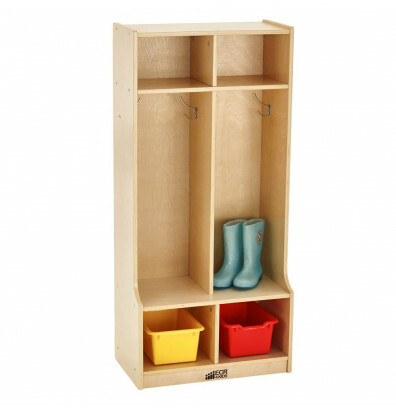 Two cubbies feature 2 coat hooks each to accommodate the belongings of up to 4 children. Bench step design can assist children in putting on or taking off shoes and boots. Good value for the money, easy to assemble. These cubbies present a considerable savings over other manufacturer's units. They are well designed and easy to assemble. They are lightweight and easy to move around. 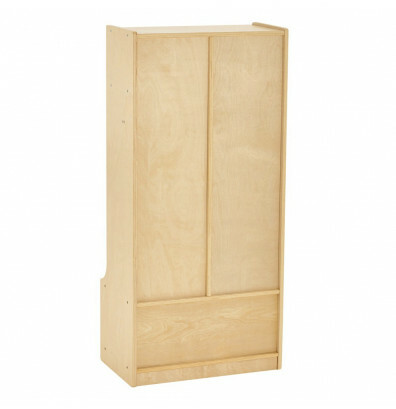 Due to the thinner plywood used, they will not be as durable as other units we have. We expect these units to be serviceable for about 10-12 years of continuous use. Other cubby units we have, made by a different manufacturer, are 25 years old and still solid, but they are 3 to 4 times the cost of the ECR units. 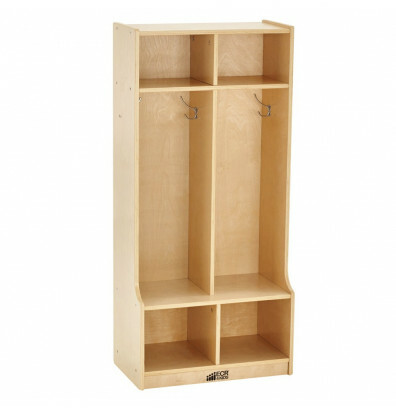 For the cost and ease of assembly, these cubbies are ideal. Customer support was also good, although the east coast/west coast time factor needs to be considered.